If there's one job I know all of us suffer with because of make-up use is cleaning and drying all our brushes. Depending on the amount of brushes we own this task can take quite some time. You have to consider the time it takes to remove all make-up residue from each brush and then how long it takes for them to dry. It takes way to long!!!!!!!!! Most people feel daunted by the task and tend to postpone it or not do it at all!!!!!!!! 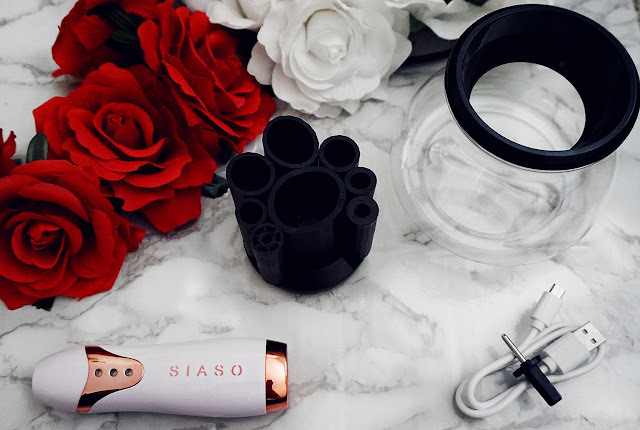 SIASO Makeup Brush Cleaner and Dryer. Bear in mind that all your makeup utensils do need to be cleaned every 2-4 weeks. Brushes tend to last longer and maintain their softness if they are kept clean. When they are clean you also keep bacteria and breakouts at bay. Are you a rose gold lover?? Well I know I am!!!! 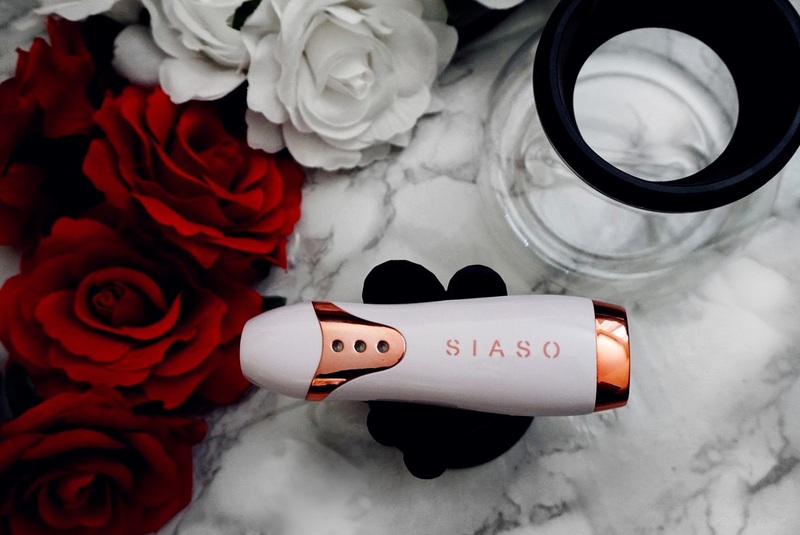 The electric handle comes in white and rose gold with the SIASO brand name in rose gold. At the base of this handle is a power button and on the front of it are three LED lights. The first LED light is for a LOW SPEED mode, the second is for a HIGH SPEED mode and the third displays that the device is charging! Depending on the thickness of the brush you want to clean you can attach a different collar to the spindle. Making it ideal for all brush sizes. The silicon collars come in 8 different sizes and due to their design allow a great grip and most importantly a STABLE ROTATION. A corresponding bowl is included that allows a mess-free process. Note that this is an electronic device so you are able to charge it as easily as you would charge your phone as it includes a USB charger. Thank god! I would not want to be stuck with a gadget which would need constant battery replacement. Curious fact- It ONLY takes 2 hours to charge!!!!!! 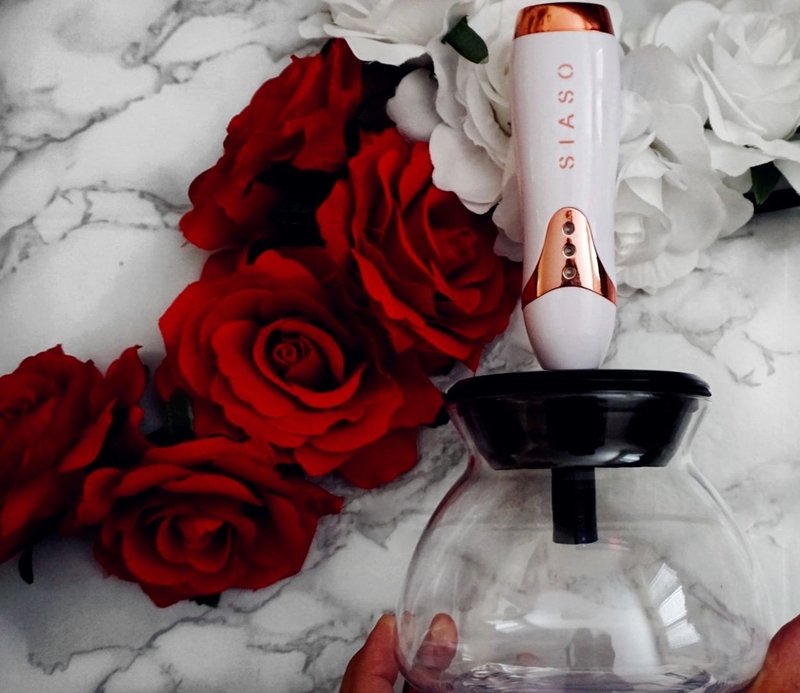 I really love how beautiful the SIASO makeup cleaner and dryer looks!!!!!!!! The design is very modern and pleasing to the eye. I would definitely find it hard to resist buying it if I saw it anywhere. 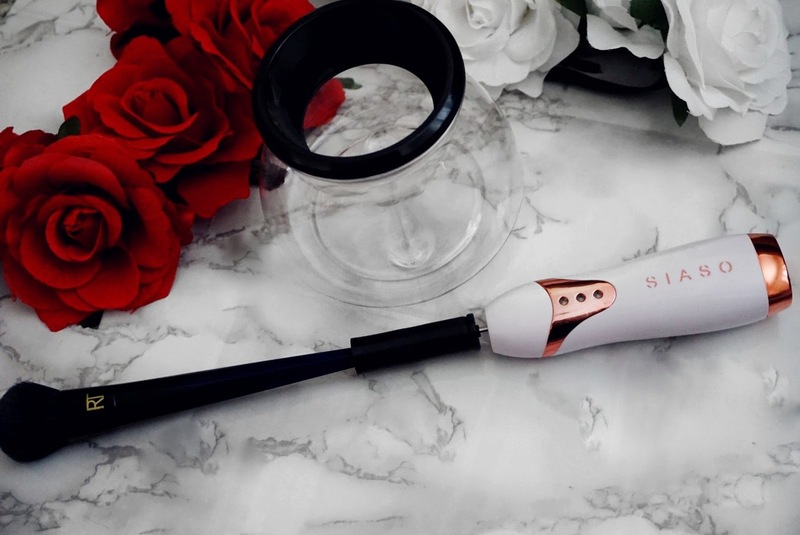 Firstly and foremost, it cleans ANY TYPE of makeup, unlike other similar devices. Whether the type of makeup you are trying to clean off is water based or oil based , it will successfully be able to cleanse it. This includes all blushes, bronzers, concealers, foundations, highlighters and powders!!!!!!! Literally, everything!!!!!!!! This makes it the perfect item to gift or own for anyone who uses makeup wether you are a makeup junkie or a makeup novice. Secondly, It only takes 30 seconds!!!!!!!!!!! What!!!!!!! 30 seconds per brush!!!!! Is that to just clean them?????????? Hell no! I am talking about the whole cleaning and drying process for each brush! Usually in can take brushes 24 hours to dry out properly before you can use them again. This saves you a whole lot of time! I hate wasting time especially on this daunting task! I can't believe how quick it is for me to now do this whole process. It's been a while since I have felt so excited with a product unveil and review! I can't express how satisfied I am with this beautifully designed and easy to use appliance. Not only does it look so pretty and takes up a limited space, making it easy to store away or to leave out on display, but it also works flawlessly! It has saved me so much time for the whole process and to be honest I can't imagine how I can live without it now!!!!! Siaso I can proudly say that I adore your device and can see why you offer a 100% SATISFACTION GUARANTEE!!!!!! It just goes to show that when a product is great , it is backed up with full support by the brand!!!! This made me feel even more at ease! Can you believe that with this one you can not only clean your brushes but also clean your eyeliners and lipliners too!!!!! Thank you for offering me the chance to introduce your brand , I wish I had found out about it before!!! It's never too late. 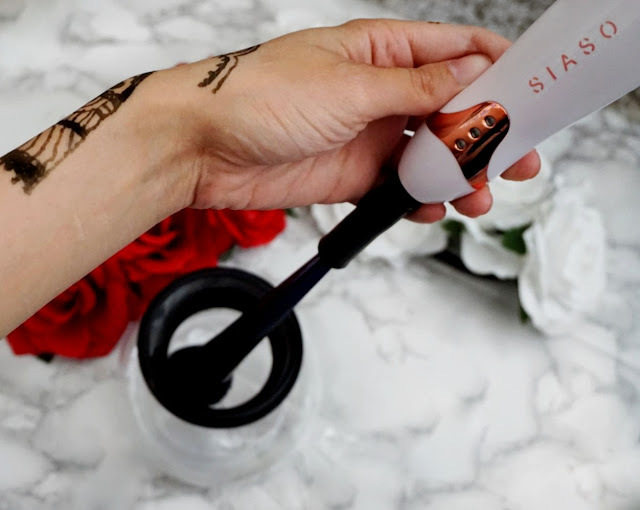 What did you think of the SIASO Makeup Brush Cleaner and Dryer? Let me know below in the comments section.